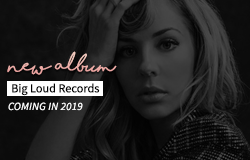 “I’m so happy to be sharing what I’ve been doing for the last couple of years!”, MacKenzie Porter excitedly told us over the phone recently. The multi-talented actress-singer-songwriter is set to launch the first two tracks from her worldwide debut EP this Friday (we had the opportunity to listen to the new tracks, and they are outstanding). And if that is not enough, Porter’s Netflix original series Travelers (in which she features as the complex Marcy) returns for its third season in a few weeks, thus making her the biggest breakout star in a popular sci-fi series and soon-to-be worldwide country pop icon since…you know, the Alberta-born MacKenzie Porter just might be the very first! That being said, she’s also one of the most humble, generous and self-aware individuals that we have ever interviewed, so the prospect of dual stardom clearly won’t get to her head. The following is a condensed and edited version of our chat with the lovely MacKenzie Porter. Brief Take: Why do you think Travelers appeals so much to such a wide audience? MacKenzie Porter: I think that even though it’s a sci-fi show, a lot of it is based in relationships and how people feel, even though they are going through a situation that is a little bit more far-fetched, like time travel. But it is still showing human emotion through that, which is an overall concept that is immediately present through seasons 1, 2 and 3. And specifically in 3, I think that it touches on it even more, the realness of how people feel. We talk about coming from the future, and they don’t think that they are going to be affected by love or by family, like Nesta (Cooper)’s character with her baby. None of us have expected to feel the things that we feel now, coming back in time. So I think that this is a cool thing that we touch on throughout the season. So when I talk to people, I say “if you’re not a sci-fi fan, you’ll still be a fan of the show”, because there’s so much love in it, it’s almost like a drama / sci-fi. BT: You’re part of an interesting team on the show and the ensemble seem to get along like a team, on and off set. Tell me about that group dynamic. MP: With all of the actors on set, it’s really been amazing how tight we have all gotten. I think that inspired me every day to go to work. Nesta is one of my best friends, Jared (Abrahamson) is one of my best friends, Eric (McCormack) and I are super close, Patrick (Gilmore) and I are super close, and Reilly (Dolman) too. I feel like it doesn’t happen that often. I’ve been on other shows in which the show wrapped and you don’t hang with those people any more. But in three weeks, I’m going to New York to hang out with Jared and his girlfriend, my boyfriend and I are going to hang out with them, we’re super close, Nesta and her boyfriend might come. So it’s like a family, and that just makes everything on set because the team is like a family. It’s almost like this tangled web of reality and script, which is really cool. All the personalities click and we all play different roles within the family. For example, Eric is obviously the leader of the show and our little crew, and he’s more of the father figure within the group, where he has to somehow wrangle all the kids to settle down. [laughs] Jared is the goofball of the group, and everyone has their part. BT: Do you see a shift in the industry to have more inclusive casting? MP: I think that there should be more diversity on set. The best actor, no matter the ethnicity or the skin colour, should play the lead part, and I think that it’s slowly changing but probably not fast enough. It should not have never been the way it was, and it should be equal and it should be fair, and it should reflect the world that we live in. I think on our cast, one hundred per cent we all feel that way, and to be honest, there should probably be even more diversity on our show. If you’re walking down the street and you’re passing by different sorts of people, I think that those people should be represented on screen, because they have stories to tell and that’s what real life is. The best sort of TV or films reflect real life. BT: How do your pursuits converge? MP: For me, music is like this release of “oh, I’ve gone through this sad situation and I can write about it and it’s a healing process”, and acting for me is so much fun not to think about myself and to think about other people and telling those stories. So it’s almost like a different release for me. Music is the self, everything is me and it’s my story and I want to share that with people so that they can relate, and acting is…I love removing myself from the equation sometimes, to just tell other people’s stories that are just as important to tell. I mean with Marcy (from Travelers), at the beginning of the series she had a really bad learning disability, and I wanted to tell that story and to tell it properly, and pay respect to anybody that has struggled with that or has a family member that has a learning disability, and do that justice. So I really like two sides, like “this is so me” and “this is so not me”, in which I still get to express something and tell stories through it. BT: What are your goals for the next chapter in your multiple careers? MP: I definitely want the next chapter for my music to be well-received and to start touring a lot. So our next goal this year is to get an opening slot across the U.S. and Canada and to start playing music for people and having them see my show. So that’s a really big goal for me in the next year. After that, I have so many people that I want to work with in film, different actors and actresses that I would die if I got to be on screen with them and learn from them. Those are definitely my immediate goals. But in the long-run I want to keep doing what I’m doing, but at a bigger level, playing what I’m playing but having more people hear the music, then having more people see the films that I’m in. Then maybe eventually, when I get older, to turn to writing and directing too. BT: What’s something that you are looking for people to discover in your new music? MP: With these new songs, they sort of tell my story a little bit better. From afar, it seems like maybe I haven’t had any music out for a long time, which is true, but I’ve been developing my skills as a songwriter and moving up in the industry in Nashville; it just took a little bit of time. So once this new music comes out, there’s going to be more music, and more music, and more music. I mean I’ve written, I don’t know, 300 songs in the past year. So we have just a ton of stuff that we are about to share with everyone. BT: You must really enjoy being based in Nashville. MP: I love it here. It’s the perfect balance between a big city and a small town. They have everything you need, but you can still go to the coffee shop and see three people you know, which I love. Our friends have box seat tickets to the Nashville Predators so I would love to perform there. BT: What is your go-to karaoke song? MP: My go-to karaoke song is ‘Hand in My Pocket’ by Alanis Morissette. Jagged Little Pill is, in my opinion, one of the best albums ever made. I just think that it’s a brilliant piece of art. So I love her. I love so many different people. I grew up on the Dixie Chicks, so that’s how I fell in love with country music to begin with. Now I am obsessed with Julia Michaels and her songwriting. These days I feel like people listen to music that is good, and it doesn’t matter what genre it is, so I feel inspired by so many different styles of music. BT: How does it feel to be performing songs that reflect your true self? MP: It feels good, it feels natural. I don’t have to fake anything, or to sing words that I don’t believe, or sing things that are like, “oh, this really hasn’t happened to me but I’ll act like it has.” I think people can see that, and I think people can see if it’s true or authentic. So I always want people to hear my music and say “oh, I can tell she’s been through that because I’ve gone through that as well.” I think that is what music is, is hearing something and the reason why you love it so much is that you can relate to it.